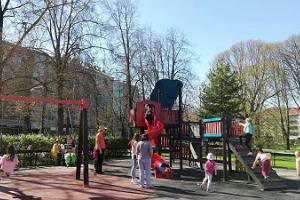 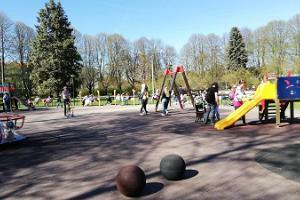 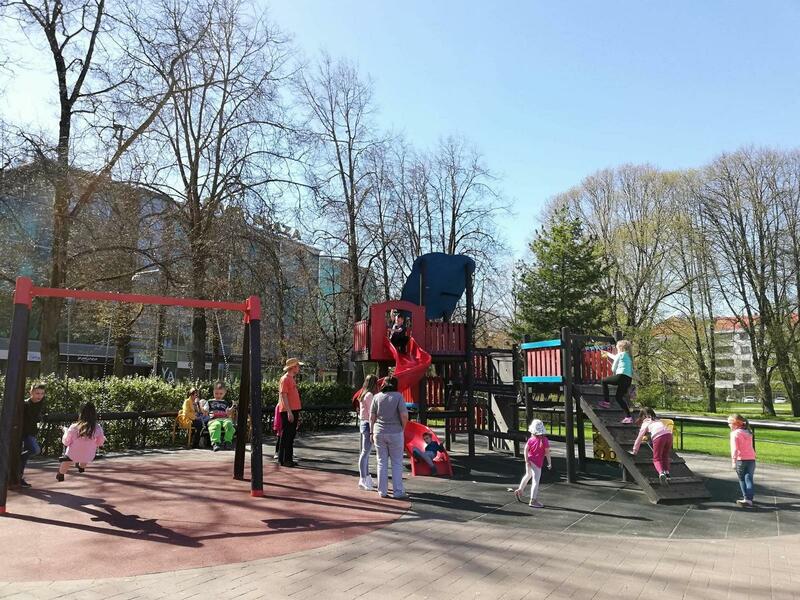 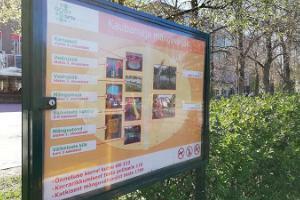 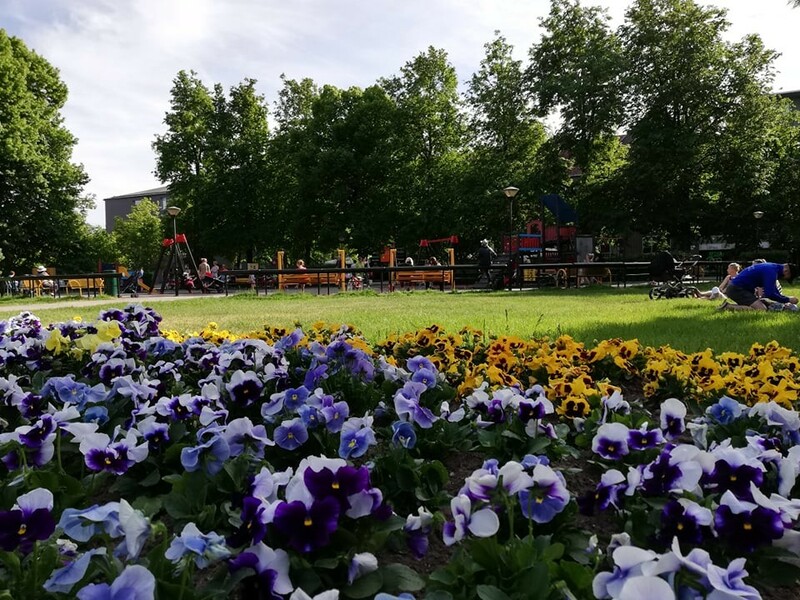 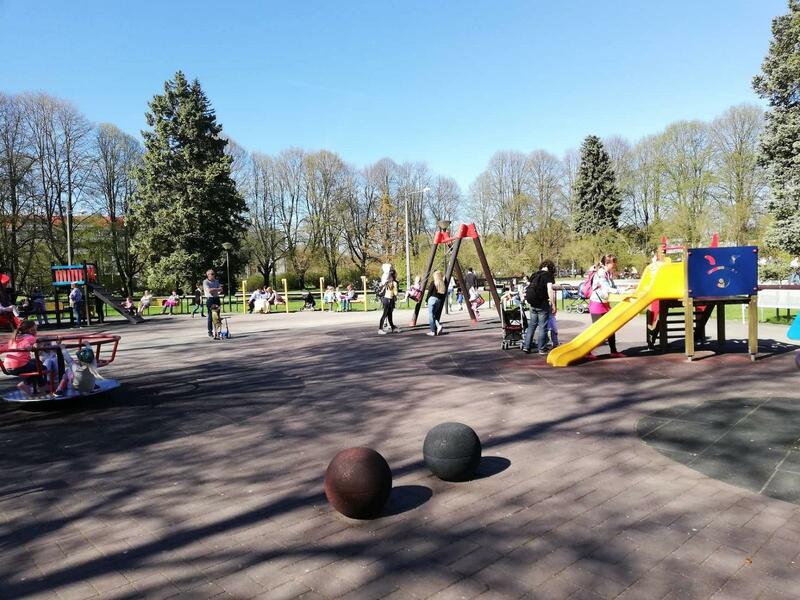 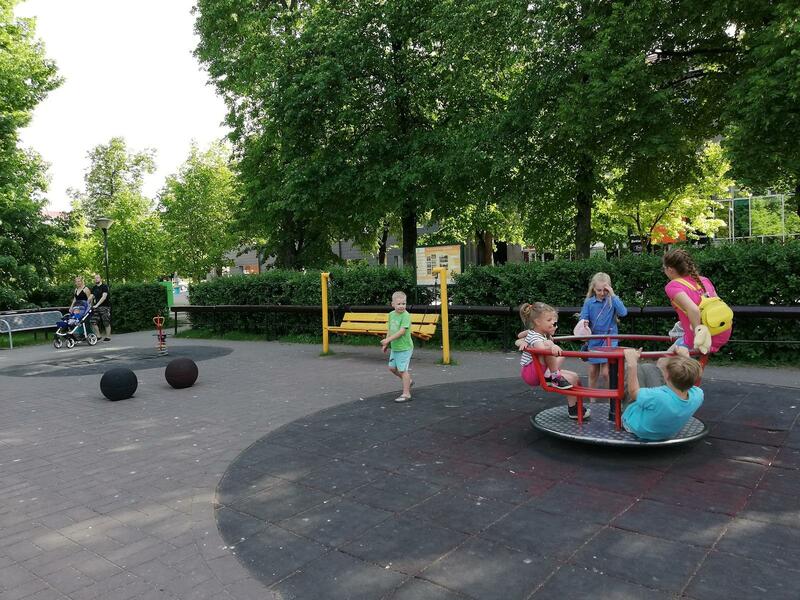 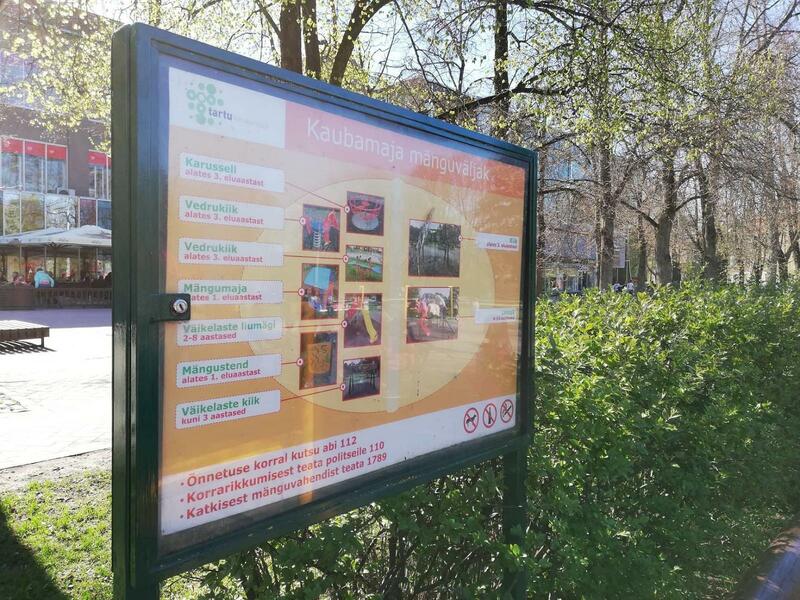 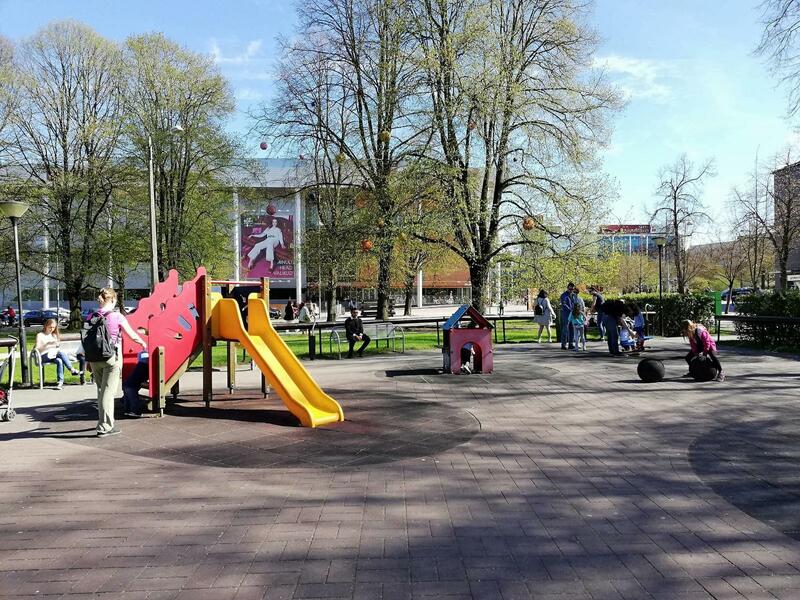 Kaubamaja playground, located in the heart of Tartu, offers activities both for younger and older children. 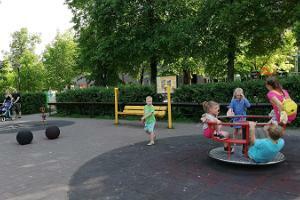 There are a number of slides and swings, which are suitable for children of different ages. 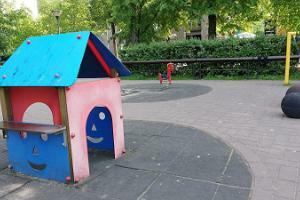 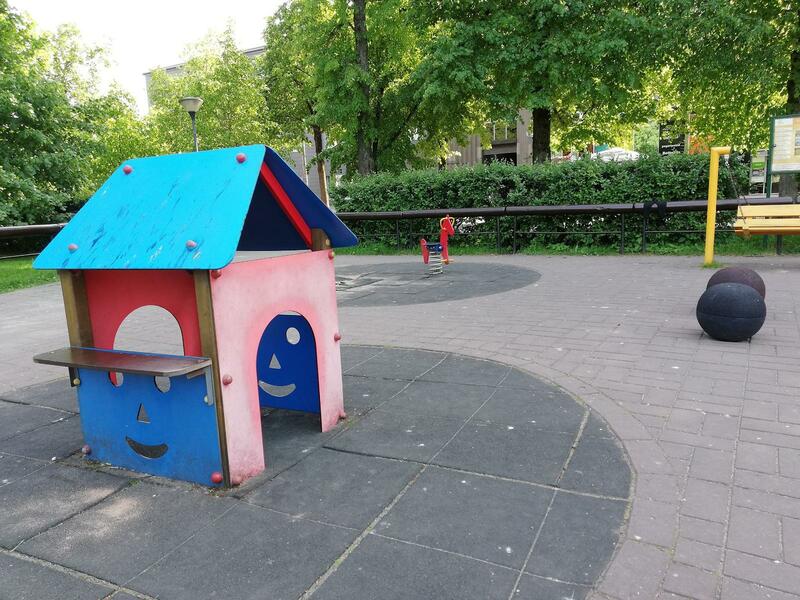 The playground is surrounded by benches and bench-swings. 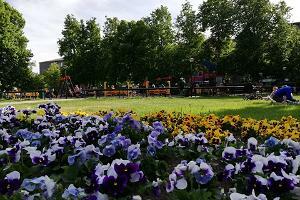 On the one side, the park is surrounded by a beautiful park. 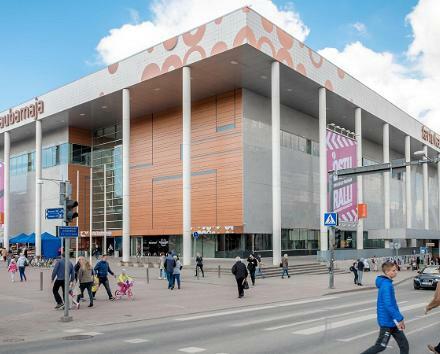 The River Emajõgi alley, Town Hall Square, and shopping centres are located nearby.